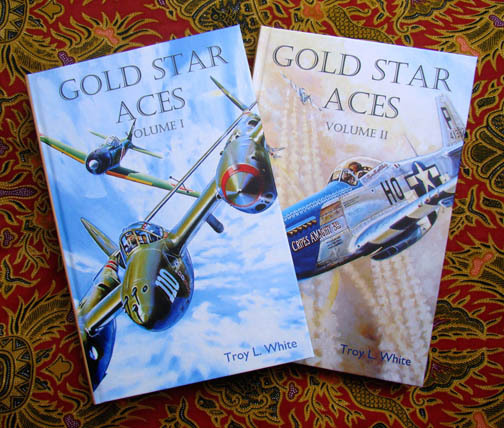 Gold Star Aces is a new Two Volume book set about the USAAF aces who were killed overseas during the Second World War. Volume I covers the time period between the Japanese attack on Pearl Harbor and the end of June 1944. Volume II starts with July 1944 and concludes with the final defeat of Japan in August 1945. The two volumes total 246 and 284 pages respectively and are illustrated with 150 photos and maps in Volume I and 170 in Volume II. Available now in your choice of hard cover or soft cover. Preview & buy them here! 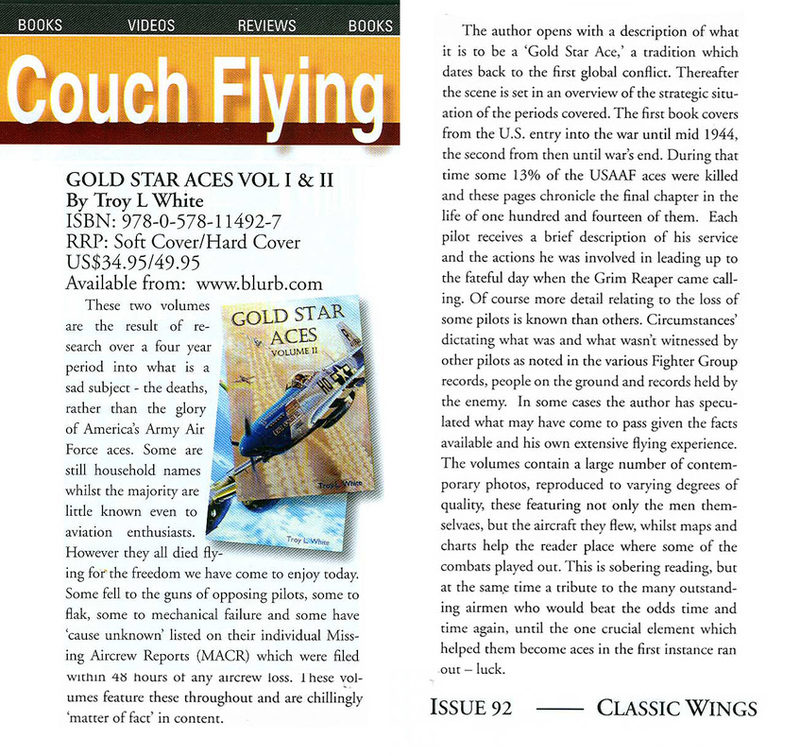 Read the interview with Troy White about his new books. 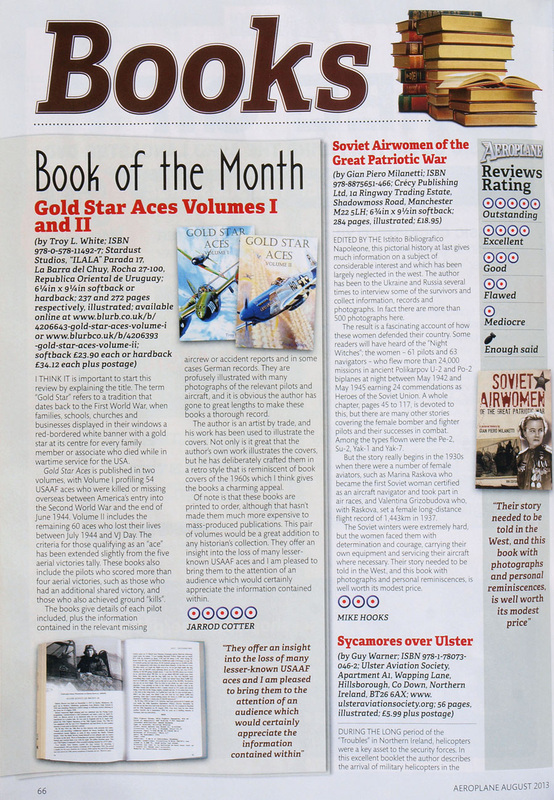 Gold Star Aces Volumes I & II selected as "Book of the Month" by Aeroplane Monthly Magazine! Preview the books and buy them here! 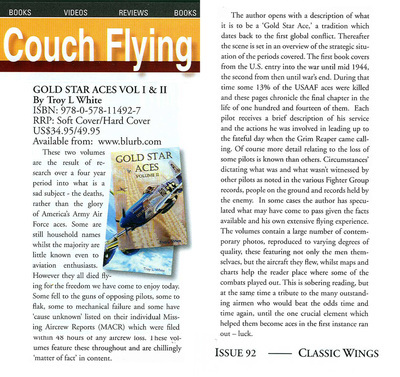 Book review from Classic Wings Issue # 92, 2014. Click on image to enlarge.